Give a modern touch to your casual look wearing this peach kurti. 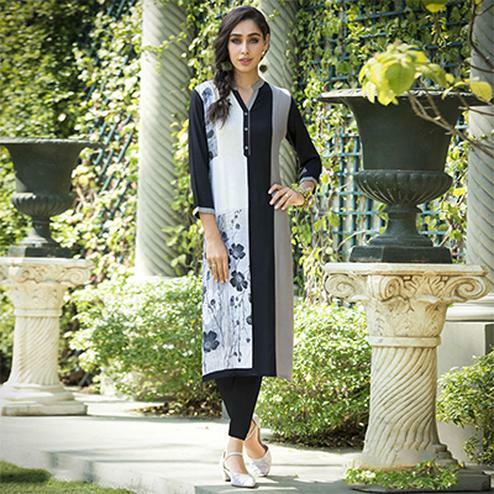 This long kurti is fabricated using rayon fabric that gives a comfortable feel to the wearer throughout the day. This kurti has got round neck 3/4 th sleeves and hand work design on yoke. Match this kurti with contrast palazzo or leggings for a complete look. This attractive kurti will surely fetch you compliments for your rich sense of style. Perfect for casual outing & social get together.